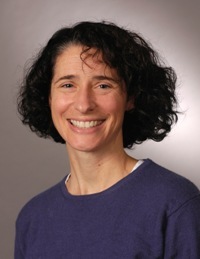 Alison Galbraith, MD, MPH is an Associate Professor in the Department of Population Medicine (DPM) at Harvard Medical School and the Harvard Pilgrim Health Care Institute. She is the Associate Director of DPM’s Center for Health Care Research in Pediatrics (CHeRP) and the site director of the Harvard-wide Pediatric Health Services Research Fellowship Program and the Child and Family Patient Centered Outcomes Research Scholars (K12) Program. She is also affiliated with DPM’s Division of Health Policy and Insurance Research. She is a pediatrician and health services researcher whose research focuses on the effects of insurance policy on health and health care for vulnerable populations of children and families. Her recent work studies decision making, health care use, and costs for children and families in high-deductible health plans and Health Insurance Exchange plans. Other current research focuses on quality of care for vulnerable populations, including studies of the timing of transfer from pediatric to adult providers for adolescents with chronic conditions and of hospital re-admissions for a safety net population. After completing a pediatrics residency at the University of California, San Francisco, Dr. Galbraith did fellowships at the Institute for Health Policy Studies at the University of California, San Francisco, and at the University of Washington Robert Wood Johnson Clinical Scholars Program. She received her MD at the University of Rochester and her MPH at the University of Washington. She practices general pediatrics at Children's Hospital Boston.